We pride ourselves on finding the best solutions to make your dreams become reality. With over 15 years industry experience through the highs and lows of the mortgage market, we are confident that we can deliver the very best products and services to our clients. We pride ourselves on exceeding our customer’s expectations in finding the best rates, service, and options for a mortgage that’s right for you. Whether you want the lowest rate possible, a fixed rate for peace of mind, or a more complex financing package, we will work with you to find a mortgage that matches your needs. Our consultants are fully qualified and authorised by the Financial Conduct Authority, and we pride ourselves on finding the best solutions to make your dreams become reality. Not only do we help you with your mortgage, but we make sure you and your family are fully protected by looking at life insurance, income protection and home insurance to give you total peace of mind, from a company you can trust. Think We Can Help? Request a Call Back! Whether you want the lowest rate possible, a fixed rate for peace of mind, or a more complex financing package, we will work with you to find a mortgage that matches your needs. The Guidance and/or advice contained in this website is subject to UK regulatory regime and is therefore targeted at consumers in the UK. 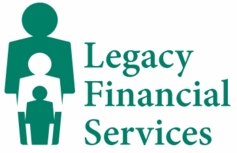 Legacy Financial Services is an Appointed Representative of PRIMIS Mortgage Network. PRIMIS Mortgage Network is a trading name of Advance Mortgage Funding Limited which is authorised and regulated by the Financial Conduct Authority for mortgages, protection insurance and general insurance products.